Add the on-trend rustic charm to your big day with our Western Style Pillow Boxes! 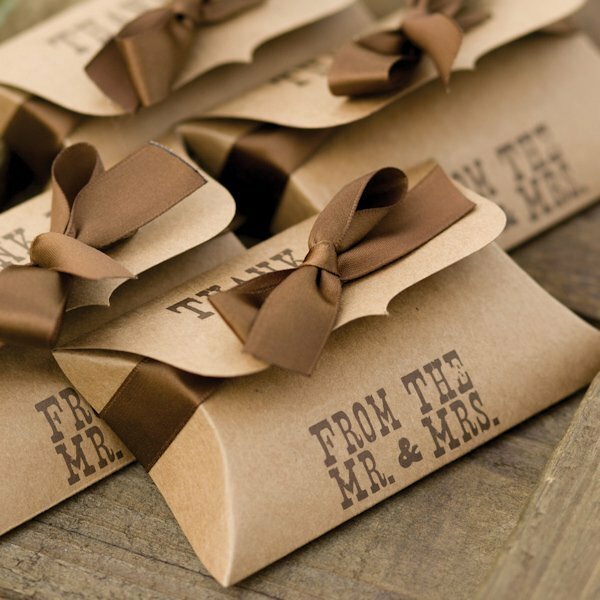 These country western wedding party favors a fun way to thank your guests and may be filled with any goodies you choose - mints, candies, nuts and more. 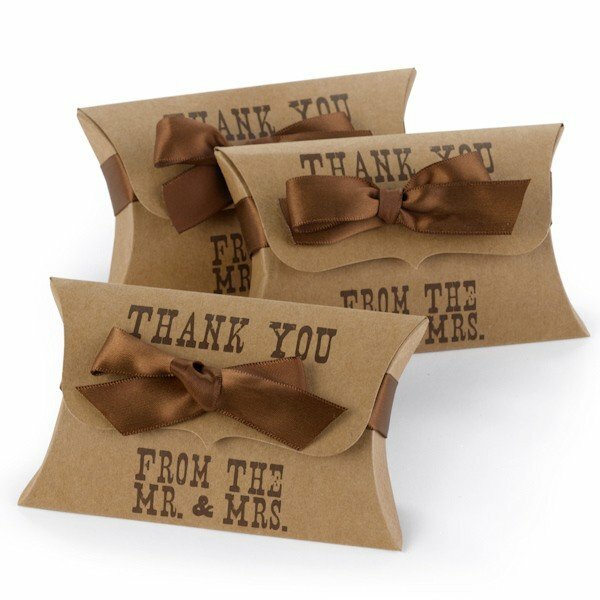 They feature scalloped edging and a western-style font with the words "Thank You From the Mr. & Mrs." with a brown satin bow holding the box closed. They are sold in a set of 25 and measure 4.25" x 2.875". Includes the 5/8" wide x 20" long brown satin ribbon. I'm sorry, the Country Western Wedding Pillow Favor Boxes can't be personalized. The box will only show a text that says "Thank You From the Mr. & Mrs."